I have been on a fantastic one week workshop at Leksands folkhögskola with Tracey Rowledge. 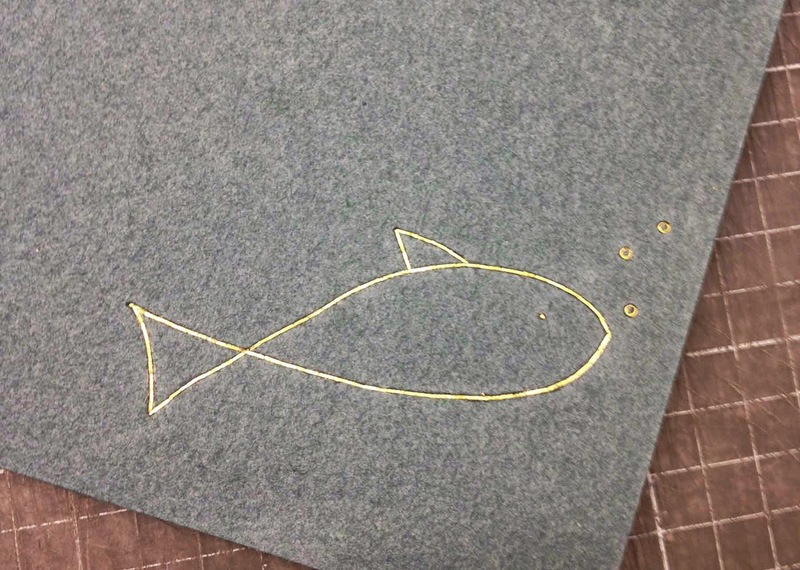 The workshop was about 'gold tooling on paper' techniques. 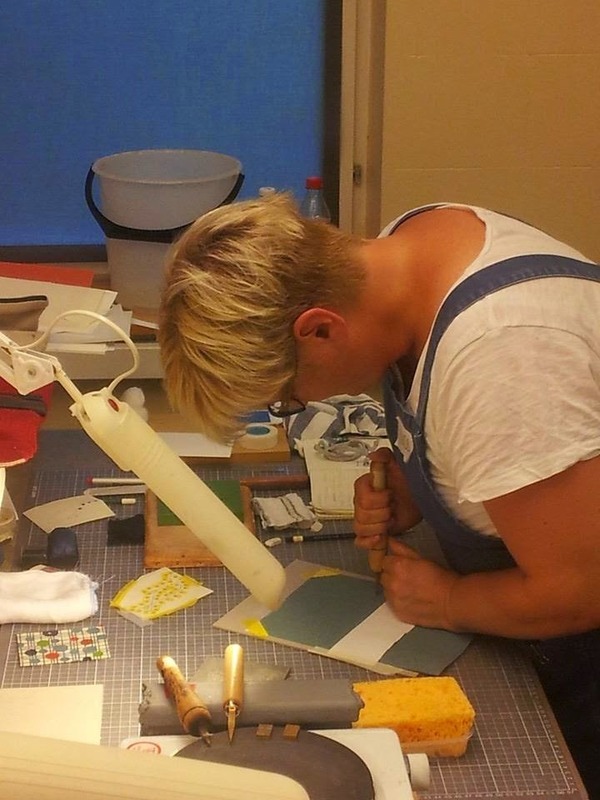 Tracey is a very clever bookbinder, her work is held in both private and public collections. Tracey's work is absolute fabulous! And she is also a very god teacher! 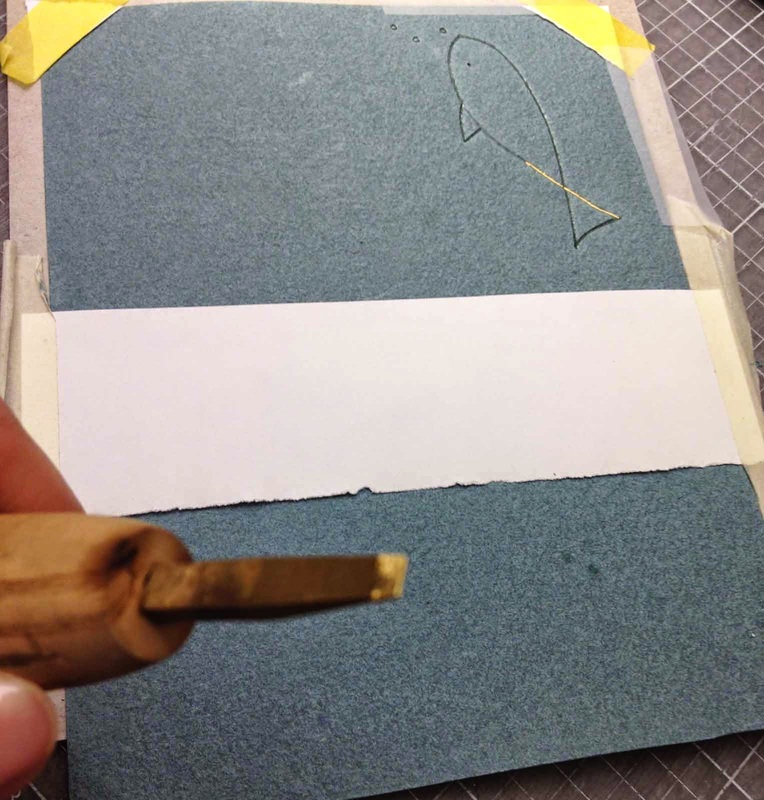 Tracey use a gold tooling technique with hot brass tools usable on paper (the most common technique can only be used on leather). 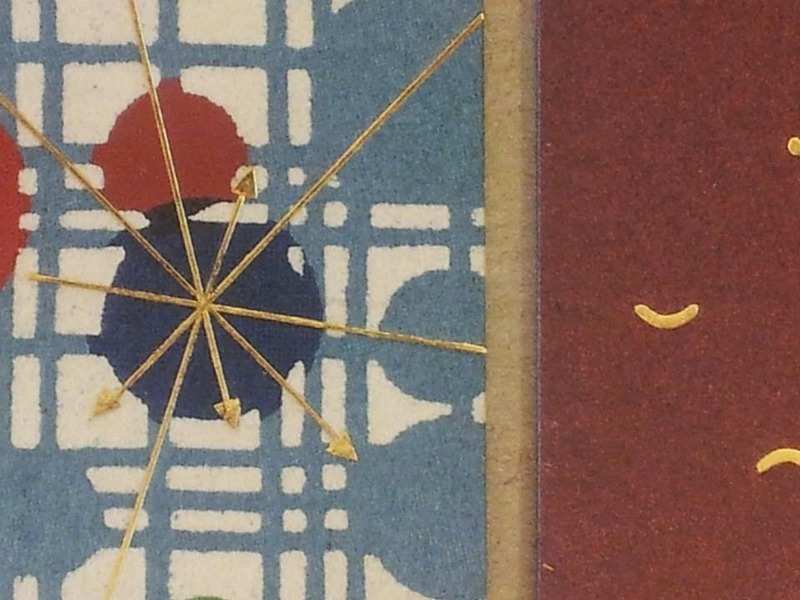 The technique allows you to make your own mark and you can easily make your own pattern. It was an intense week but I'm very HAPPY! 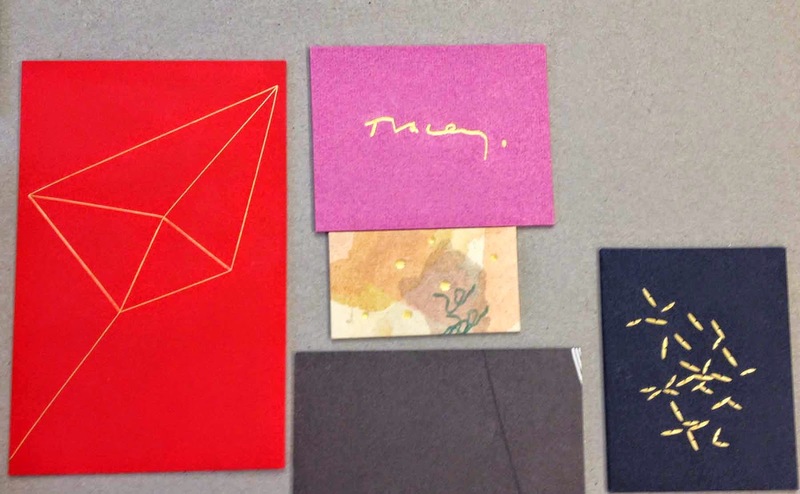 If you have the opportunity - take a workshop with Tracey Rowledge.